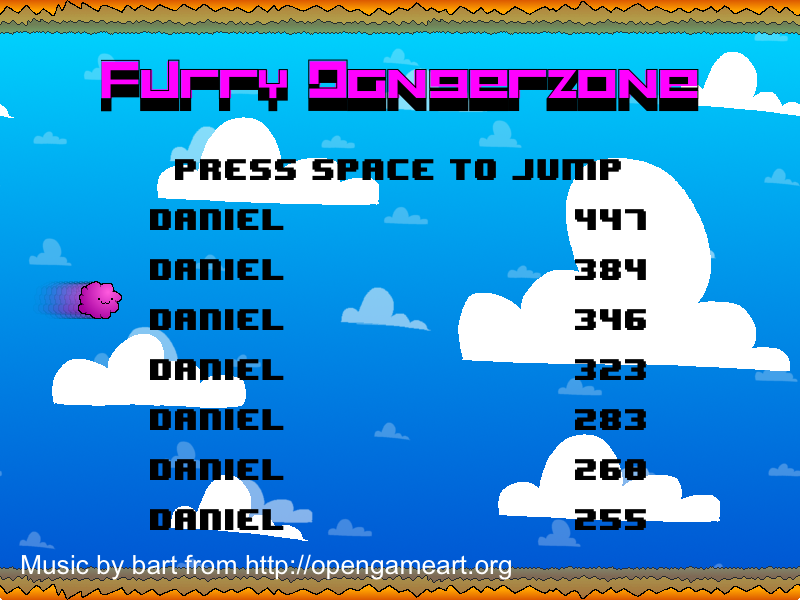 This is my first Gosu game :) It's called "Furry Dangerzone." You can also check out the code on github. It's getting better though! Immediate Floats in Ruby 2.0 on 64-bit are a big step forward. Now it's mostly Gosu::Color that is dangerous, and you can often use 0xaarrggbb constants (only a little bit horrid). 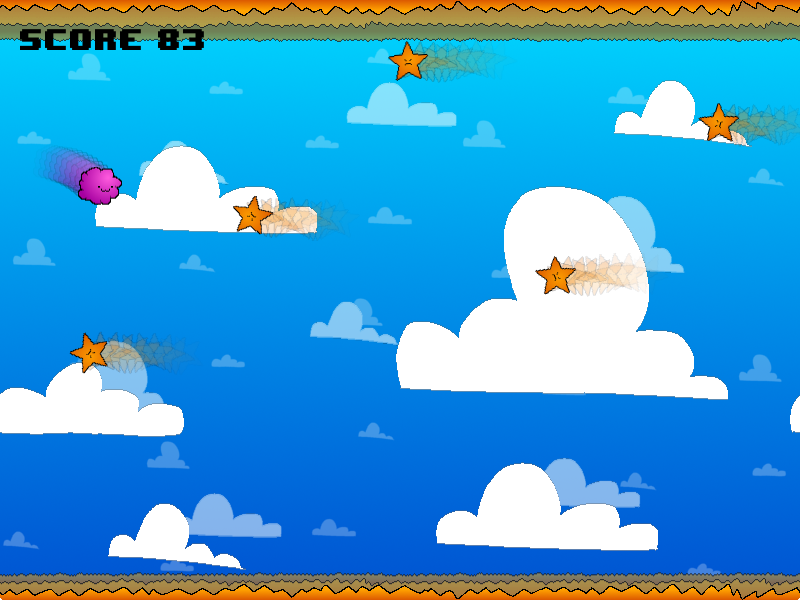 I've added a few more optimisations. Firstly I took your optimisation to the next level and just keep an array of Gosu::Color objects for the levels of alpha, and reuse them throughout the game. Secondly, to remove all object allocations from the update method during actual play-time, I made a simple object pool for the Danger objects. I just wonder if it's actually helping anything. Thanks :) I tried running it on my dad's ancient netbook and found out it was lagging horribly whenever you explode, so I optimised it even more by only drawing the motion blur trail once in a record block and then only drawing one image per particle. Makes a huge difference. Ha! :) That's a good optimisation indeed. I've made a few changes. 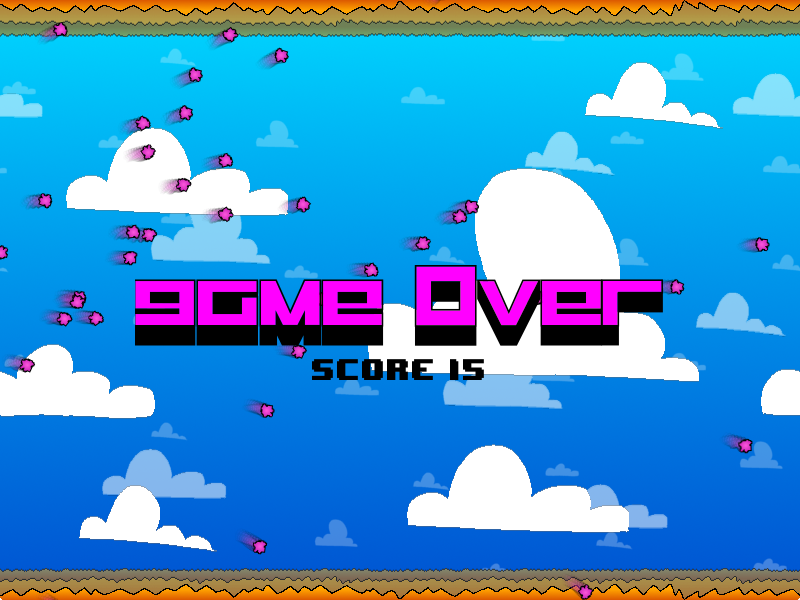 Added high score, made a few cosmetic adjustments. Screenshots have been updated. Quick update: I've added a link to download a standalone copy of the game in the OP. That's one quite relaxing game. I'm suprised you didn't call it "Flappy Cotton Candy". Haha, I didn't choose the name, though. I just created a github repo and went with the generated suggestion.